The number 19 is ushering in a new world of thought based upon the oneness of God and man. Thus, it becomes vitally important to us as a new nation emerging in the midst of the most powerful nation on earth to attune ourselves to high spiritual wisdom which will advance us into a world of righteousness and nurture us into perfection. The 1 standing next to 9 gives us symbolically a picture of the universe in which we live, representing both the masculine and feminine Presence in the Divine Creation. The number 19 is a very powerful symbol of the one God generating Himself from His own self-created force field of energy and motion from nothing, a circle of infinity, into one and then into the expression of 9 planets orbiting around a center of attraction represented by our sun. This picture of the Sun and the nine planets, teaches the Honorable Elijah Muhammad, is a beautiful picture of God and His Second Self (the woman) reflecting from inside out in the feminine presence of His Divine Creation. 1 “Surely there came over man a time when he was nothing that could be mentioned. 2 Surely we have created man from sperm mixed (with ovum), to try him; So we have made him hearing, seeing! 3 We have truly shown him the way; he may be thankful or unthankful.”(Surah 76, verses 1,2,3). Before dealing with the numbers involved in this passage, unveiling the number 19, let us analyze the words in these verses. The first verse is revealed somewhat in a narrative style of someone describing the beginning of man when he was nothing. The second verse speaks of the generative power and force of a unified body of we having created man from sperm mixed (with ovum). This we could indicate the expression of both the masculine and feminine Presence in the beginning with God generating Himself from darkness into light. The word mixed implies the same idea or thought that existed in the Mind of God which was both masculine and feminine (mixed) in the original nature; made by God in which he has created men. God calls forth His helpmate in order to produce man, calling on the feminine side of His Being into existence with the word “Be” and it is! Thus the one God standing beside the number 9, representing both the feminine and masculine energies mixed or combined in nature, represent the oneness of God or Unit. 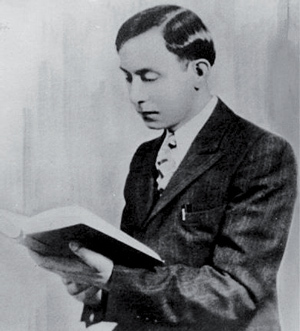 Once the Honorable Elijah Muhammad was questioned about the origin of woman, and he answered: “As far back as the man goes, the woman was there.” The questioner repeated the question and the Honorable Elijah Muhammad answered the same. The study of the number 19 is bringing us closer to the reality and mind of God from the beginning of His Divine Creation into Eternity.